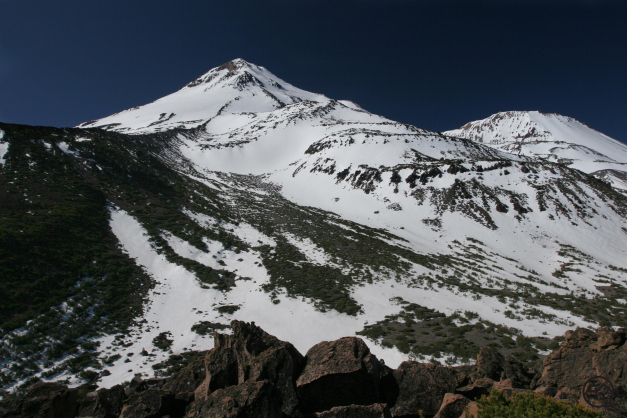 It’s getting to be hiking season on Mount Shasta again. 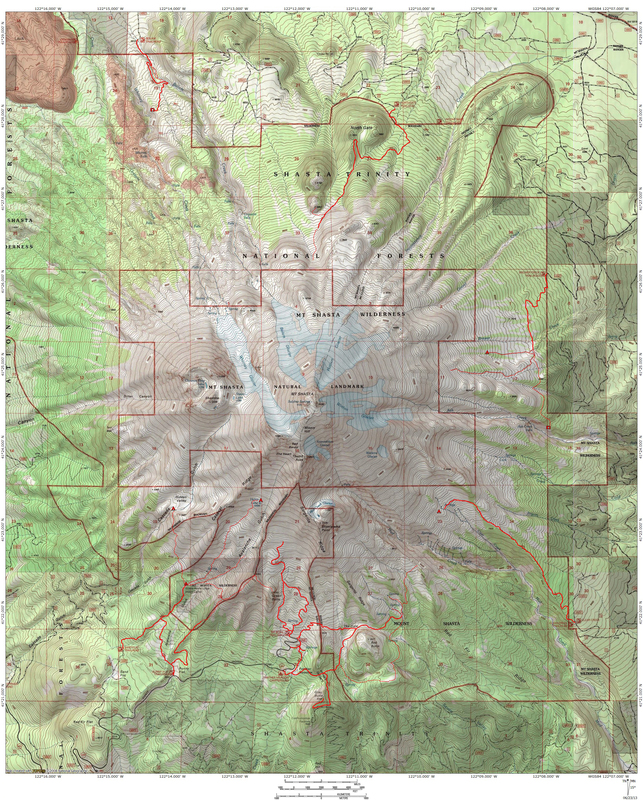 A good map is a nice thing to have on the trail! Mount Shasta from Plug 8,852 near the North Gate Trail, which is subject to repeated inaccuracies on trail maps. Well, there is essential gear, and gear. Maps, of course, are essential. I agree, though I confess I have begun cheating. I make the maps into jpegs and then load them onto my phone and just carry that with me. It is amazingly convenient and I can have maps covering as much territory as I want without all the unfolding and folding. I have claimed to be a mild luddite in the past, but I have given in to modernity. What a good idea. I hadn’t even considered using my phone. Do you run out of juice, or is it ok as long as you turn the roaming part off? Yeah, I put it on airplane mode and it has enough juice to run for days. It is so convenient.